This is the first evening event for 2017, and is scheduled to be held on the Brogborough course (F15/10) on Wednesday 5th April. This is the fastest of the curses we currently use for our TT league, and it's usually popular. If you are new to the course, please review the course description and risk assessment. Course route - includes download links for many GPS enabled computers (you need to select "EXPORT" near the right hand edge of the screen to access this). 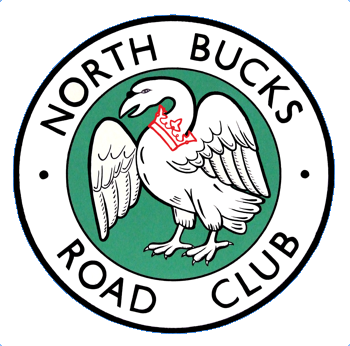 The event starts at 6.45pm am, and entry is on the line at £3.00 (NBRC members), £5.00 (non-members). The meeting point is under the flyover midway between the start at the top of Brogborough Hill and the finish. We're limited to 30 riders for this event, so make sure to get there in good time to ensure a ride. Remember to bring lights if you are planning to ride home after the event. A rather cold and blustery evening made things a bit difficult for the 23 riders who turned out for this evening's event. The descent of Brogborough hill was a bit twitchy with aero wheels, but at least after that things were a bit more stable. I could have done with a pair of arm-warmers, though! Congratulations to Barry Connolly for the win - a fine performance on what I thought was quite a tough evening. Andy Wickham took second and was first NBRC rider. Congratulations also to Katja Rietdorf for 1st on vet standard (despite proclaiming how much she dislikes 10 mile time trials!). Finally, commiserations to Chris Hartley for puncturing. 1 22 Barry Connolly TeamMK 21.40 Sen.
4 6 Ant Smith TeamMK 23.12 Sen.
5 19 M.Hele TeamMK 23.16 Sen.
12 20 Jonathan Peters TeamMK 24.20 Sen.
14 10 Nathan Gallavan NBRC 24.39 Sen.
Another decent on a cold, breezy but bright and dry evening. The 23 starters (7 NBRC First Claim members) yielded 2 PBs. 11 riders were new to the course in NBRC events, and 1 rider suffered a deflation and failed to finish. There seemed to be plenty of happy but chilled riders at the finish.